Priti International is one of the leading manufacturer and exporter of Handicraft Products. Priti International IPO consists of 700,800 Equity Shares of Rs 10 aggregating up to Rs. 5.26 Crores. Let’s have a detailed review of the company and analytics of the Priti International IPO release date, IPO offer price, subscription, Priti International IPO allotment, grey market price and other details like the company’s background, its financial positions, its promoters and other related things. The company was originally incorporated as “Priti International Limited”, Rajasthan in year 2013. They deal in manufacturing of wooden, metal and textile based furniture and handicrafts products. They export products to wholesalers and retailers from countries such as Spain, Belgium, Holland, Netherlands, Turkey, England, China, Greece, Germany etc. Apart from them, we also export our products to customers working on some specific projects e.g. newly constructed hotels, restaurants, bars & pubs, etc. The financial performance (based on the audited financials of the M/s. Priti International i.e. 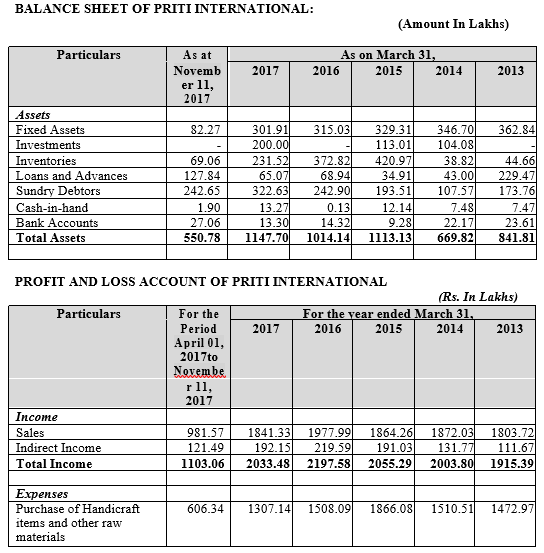 the erstwhile proprietorship of the Promoter Priti Lohiya) reflects decline in total revenue from Rs. 2,055.29 lakhs in the FY 2014-15 to Rs. 1,978.91 lakhs in the FY 2016-17. However, the EBITDA has increased from Rs. 180.18 lakhs in the FY 2014-15 to Rs. 226.76 lakhs in the FY 2016-17, representing a CAGR of 12.18%. Further, our EBITDA margin has increased from 8.77% in FY 2014-15 to 11.46% in the FY 2016-17 and the profits for the year has increased from Rs. 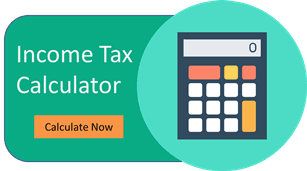 130.40 lakhs in the FY 2014-15 to Rs. 164.79 lakhs in the FY 2016-17, representing a CAGR of 12.42%. The Promoter of this company are GOVERDHAN DAS LOHIYA, PRITI LOHIYA, RITESH LOHIYA, GOVERDHAN DAS LOHIYA – HUF AND RITESH LOHIYA – HUF. The lead manager to the issue is PANTOMATH CAPITAL ADVISORS PRIVATE LIMITED and the Registrar to this issue is BIGSHARE SERVICES PRIVATE LIMITED. The opening and the closing date of IPO is from Jun 11, 2018 – Jun 13, 2018. NOTE: The total equity shares offered was 700,800. The face value of each share is Rs 10, and the Issue price is Rs 75, so the premium price is Rs 65. 700,800 Equity Shares of Rs 10 aggregating up to Rs 5.256 Crores at Issue Price is Rs 75. The Minimum Order Quantity is 1600 Equity Shares. THE ISSUE AND THE NET ISSUE WILL CONSTITUTE 27.01% AND 25.66% RESPECTIVELY OF THE FULLY DILUTED POST ISSUE PAID UP EQUITY SHARE CAPITAL OF OUR COMPANY. Some of their Directors may be deemed to be interested in the promotion of the Company to the extent of the Equity Shares held by them and also to the extent of any dividend payable to them and other distributions in respect of the aforesaid Equity Shares. As on date of this Draft Prospectus, the Directors together hold 16,57,892 Equity Shares in our Company i.e. 87.56% of the pre issue paid up share capital of the Company. Therefore, some of the Directors are interested to the extent of their respective shareholding and the dividend declared and other distributions, if any, by the Company. As on the date of this Draft Prospectus, their Company has not availed loans from Directors of their Company. Except as stated above and in the chapter titled “Capital Structure” beginning on page 67 of this Draft Prospectus our Directors, may be deemed to be interested to the extent of remuneration and reimbursement of expenses payable to them for services rendered to them in accordance with the provisions of the Companies Act and in terms of agreements entered into with their Company, if any and Articles of Association of their Company. Purchase of Plant and Machinery and related civil work. Peer Review Auditor – K. Aswani & Co. The Priti International IPO Grey Market Premium is yet to be announced. It will be updated as soon as the premium rates are announced.